I am already a subscriber. My husband loves to take pictures and I know he would feel he was in heaven if he had this camera. I am already a subscriber, please enter me. Thank you Verizon for having this terrific giveaway. I don’t have a digital camera due to no extra money. I’d love to win this prize. It would be amazing. I would love to be entered, as I am already a subscriber. This is my dream win! I have been geting Fios internet and TV for a couple of years and am very satisfied. Wow! 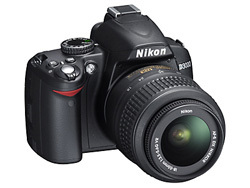 Perfect camera….I have been a Verizon customer for many years. My ‘film’ camera is scheduled to be in a museum it is sooooo old! I would love to have this camera to take pitures of my grand daughter. I would love to have this to capture my husbands college graduation. I would love to receive the camera! I have breast and bone cancer, and the doctors are not sure how long I have to live. It sure would be nice to capture pictures of my loved ones (including, of course, pets!) and favorite scenery. It would really be the greatest thing. Thank you! The rest of you can give up because this is mine. I subscribed.Thank you for having a contest and Happy Holidays! Would love to win this, it is a great prize! I’m a subscriber and I love this camera. Please accept my entry. Thank you. I’m a current subscriber and would love to be entered. I am a subscriber. Thanks for a great contest and that is an awesome camera. I’d love to enter and I subscribe. Oh crossing my fingers and hoping, hoping, hoping. This looks like an amazing camera. I have always wanted one that wasn’t a cheap one..Thanks for the chance. I am now a subscriber. would be fabulous gift ! I’ve been a subscriber and would like to be entered in this. Thanks! I have been a subsciber and the camera is awesome. I subscribed and would love to win this cool camera! Thank you for the chance! Techlicious, Just subscribed to your site! Very interested to see what your site has to offer. Thanks for the opportunity to win a Nikon, and a D3000 at that!!! I am a subscriber and would love to win this. Nikon is the best cameras on the market today. Thanks for offering such a great prize and great web site. This is the camera of my dreams. Thanks for the great information and the chance to win. I subscribed and would love to win this camera! I subscribed!!! I need a new camera so desperately! Thank you for the great giveaway!! This would be so perfect as a gift for my husband for Christmas. I am a subscriber as jweezie43[at]aol[dot]com. subscribed! I would die for a camera like this. I want to learn how to shoot great images and all I have is a simple point and shoot. I would love to win this contest - I just subscribed today and am looking forward to getting your newsletter. thanks for the contest!